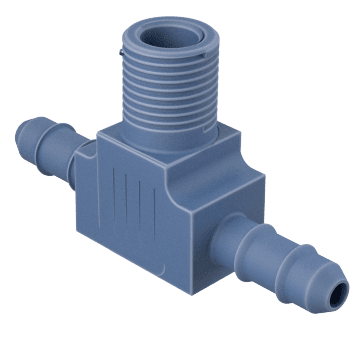 Corrosion-resistant brass fittings resist rusting when exposed to water and are suitable for use with polyethylene tubing. 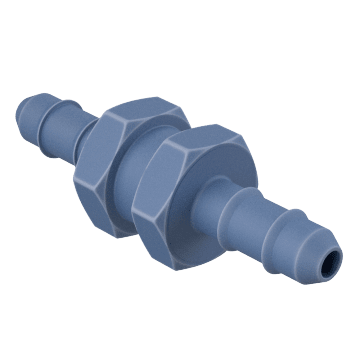 Barbed fittings have raised ridges, or barbs, that hold them firmly in place when they are inserted into tubing and secured with a clamp. 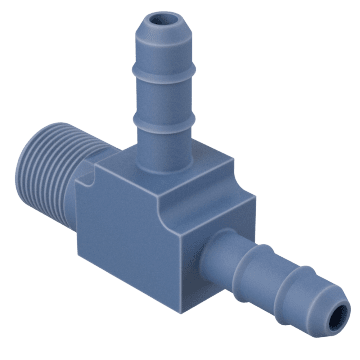 Suitable for low-pressure applications. 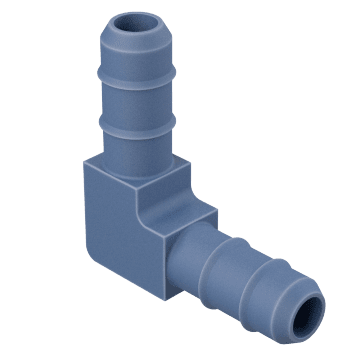 Join tubing running in the same direction with these fittings. 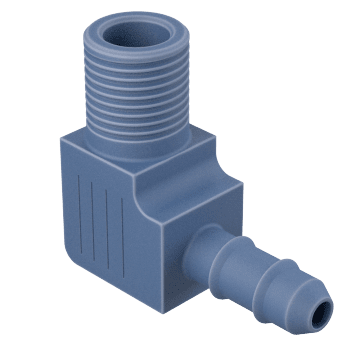 Use these fittings to connect threaded pipe or fittings to tubing in a straight line. 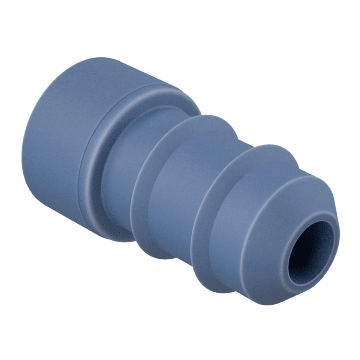 Connect tubing at a 90° angle with these union elbows. They have tubing connections on both ends. Make a sharp 90° change in the direction of your tubing with these 90° elbows. They have a threaded connection on one end and a tubing connection on the other. 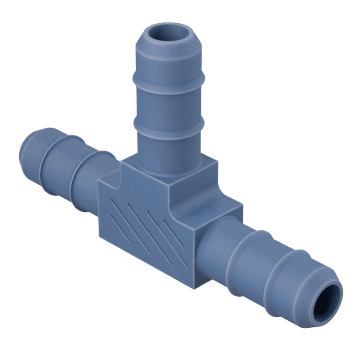 Merge two lines or split a single line into two with these union tee fittings. They have tubing connections on all ports. Create a 90° branch to send flow into two tubing lines or to join flow from two tubing lines. 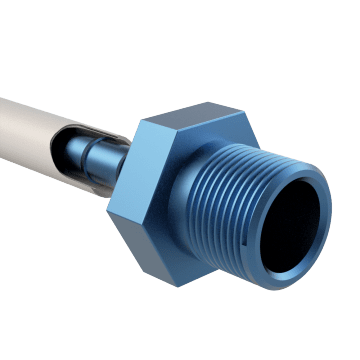 Run tees have a tubing connection in the middle set at a 90° angle to a threaded connection on one end and a tubing connection on the other. Combine two lines into one or split a single line into two with these tees. They have a threaded connection in the middle set at a 90° angle to a tubing connection on either end. 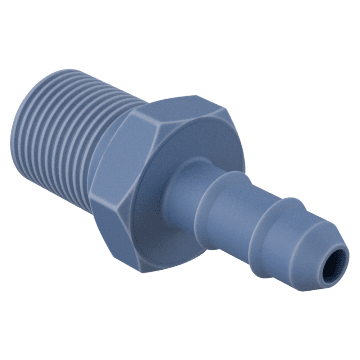 Insert these plugs into fittings or tube ends to close them off and seal out dirt and contaminants.